Twins born in two different years in California. 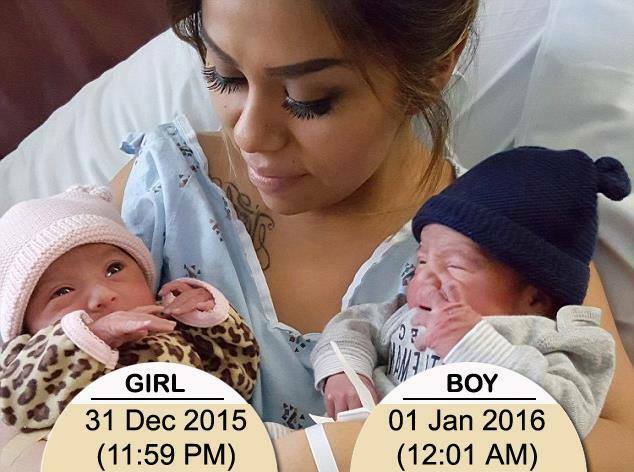 Home » »Unlabelled » Twins born in two different years in California. Twins in San Diego are getting some attention because, though born just minutes apart, one has a birthday in 2015 and one in 2016. Jaelyn Valenica was born New Year’s Eve at 11:59 PM Her twin brother, Luis Valencia Jr., arrived at 12:01 AM on New Year’s Day.